Turnable wall- ceiling fixture in painted acrylic. Diffuser in microprisma. Other colours on request. Luminaire Luminous Flux 1043LM, System effekt 16W, 3000K, 3 SDCM, RA 80. In ceiling or on wall. Product specification How can an LED fixture look great from all angles in corridors, public areas and stairwells? Answer: THIRTY – a rotating LED light for ceilings and walls, which can be turned 350 degrees to meet the user’s wishes. 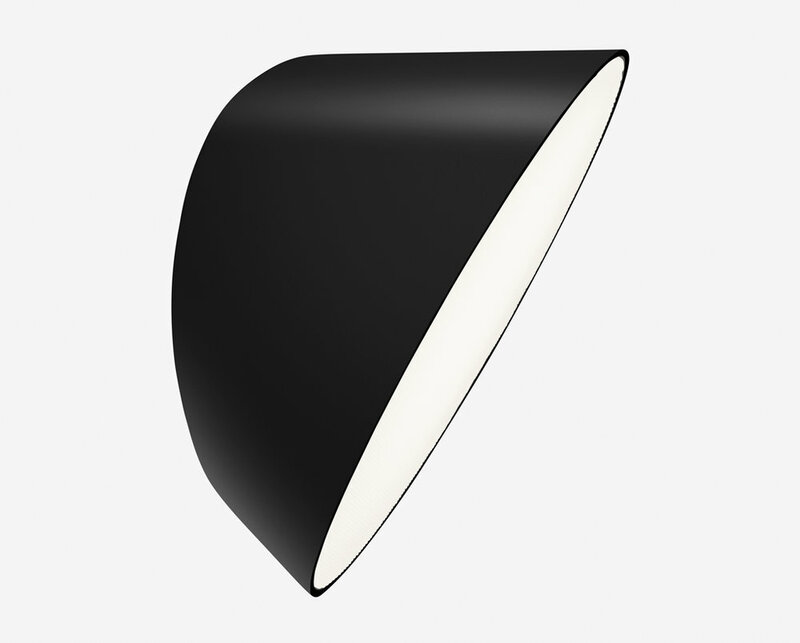 The angled diffuser of microprisma provides softly filtered light that together with the rounded asymmetrical shape form a harmonic whole. THIRTY works very well in both formal and more playful configurations..
HFF = Dimmable DALI, SwitchDim, DSI.